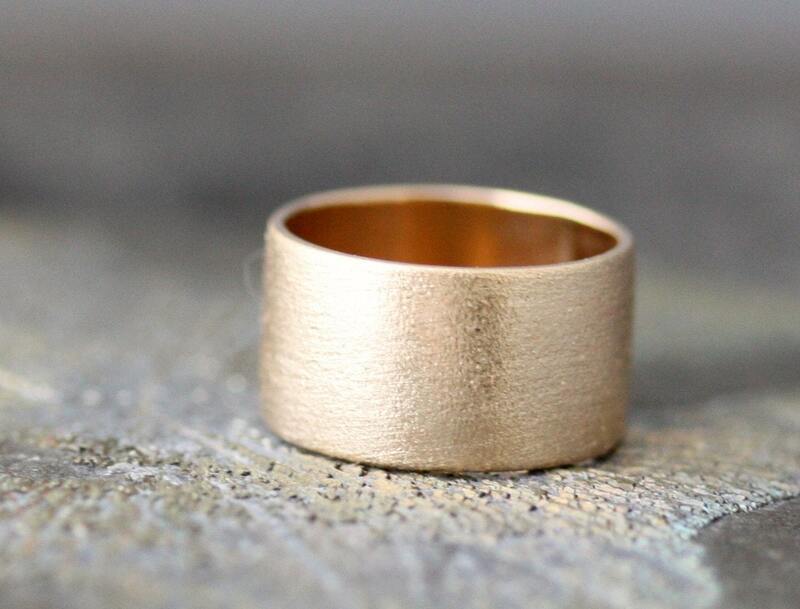 This listing is for a custom-built gold ring. The photos show rings in yellow gold, but I can also work in any other colour of gold you wish- please choose your gold colour from when ordering. 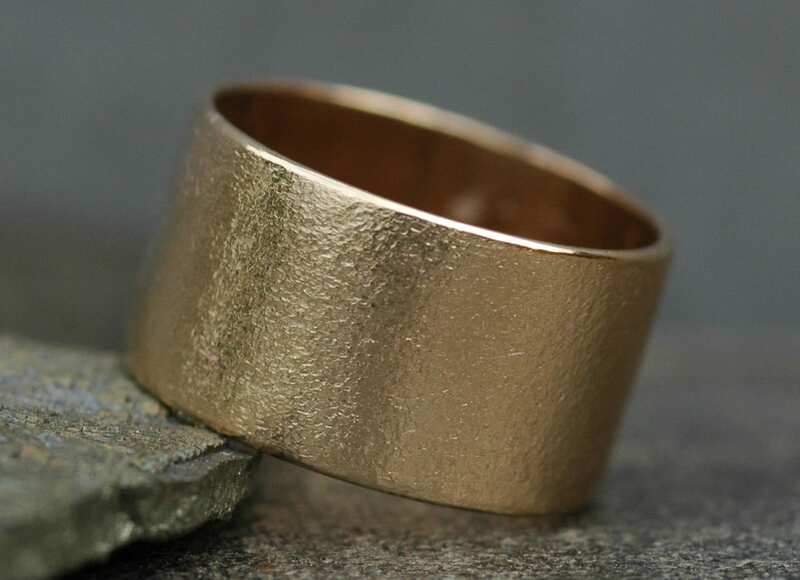 As well, I can make this ring in any karat of gold- please ask for pricing. 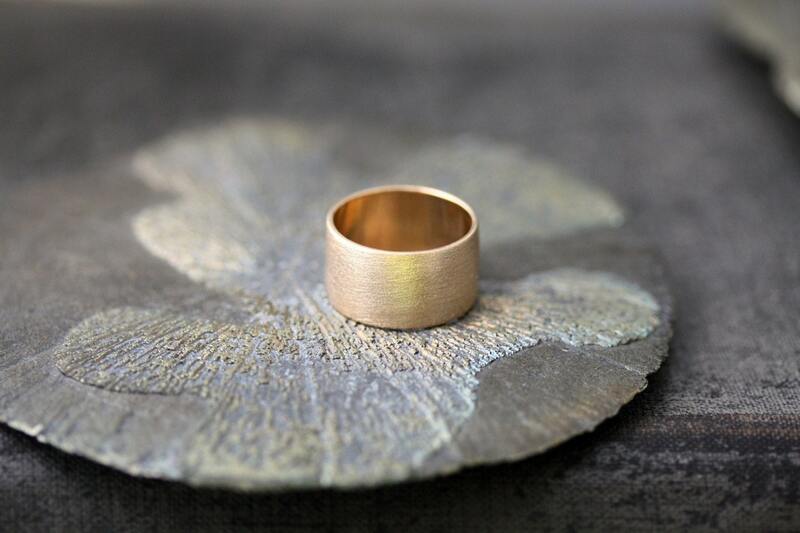 This ring is constructed of 14k gold. I formed it from custom-milled 10mm ring stock. As this is a custom order, please see my shop announcement for my current lead time. 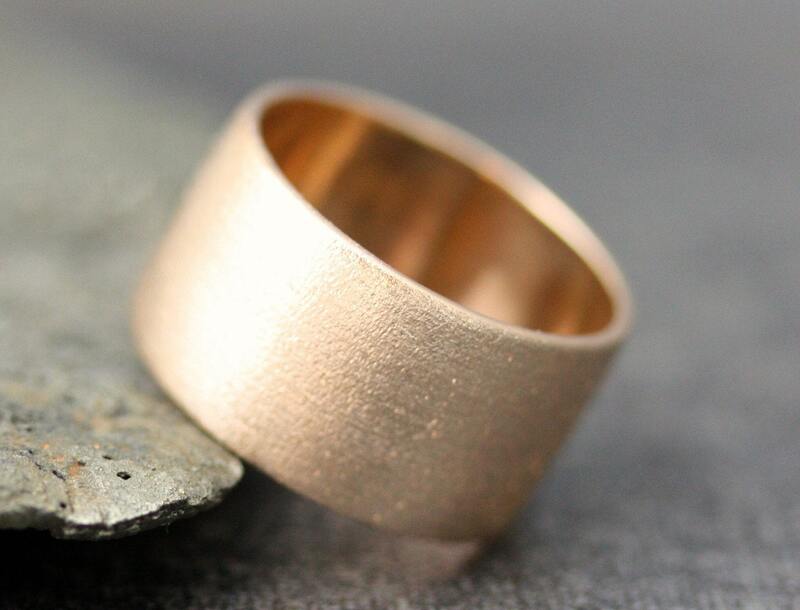 If you would like to have your ring made in a different color of gold, a different karat, or a different width, please allow an extra two weeks of time to have the metal milled and shipped to my studio. 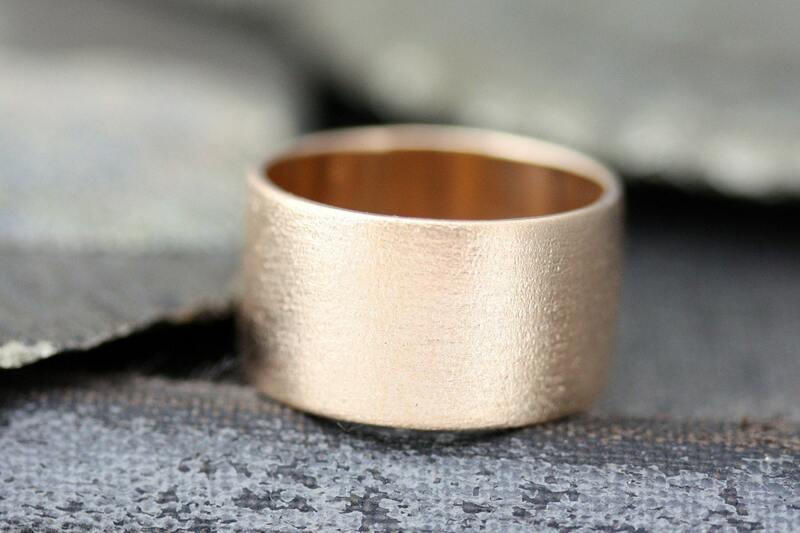 As this is a wide-band ring, we will be adding approximately 1/2-3/4 of an extra size to your actual ring size, in order to ensure a proper, comfortable fit. Please do not size up on your own when you request your ring size during checkout.